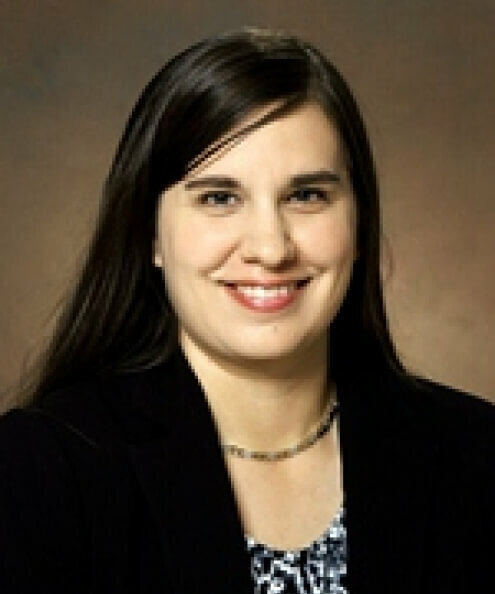 Melissa L. O’Connor is an assistant professor in the Department of Human Development and Family Science at North Dakota State University. She is originally from Minnesota. She earned a bachelor’s degree in psychology from St. Cloud State University in 2003. She received a master’s degree in experimental psychology from the University of Wisconsin Oshkosh in 2006 and a doctorate in aging studies from the University of South Florida in 2010. Prior to joining the faculty at NDSU, O’Connor completed a post-doctoral fellowship in quantitative psychology at the University of Virginia. She currently teaches undergraduate and graduate-level courses in adult development and aging, cognitive development and statistics/research methods. Her research laboratory is called the Healthy Aging Lab, and her scholarly interests include examining age-related changes in cognitive and functional abilities, such as driving, interventions for improving cognitive abilities and attitudes toward dementia. She is a member of the American Psychological Association and the Gerontological Society of America.